Samsung Dryer shows E3 error code? If the E3 error code displays on your Samsung dryer, this means the dryer has sensed an overload. This error occurs when the dryer has an overload of clothing. This error may also occur when there are too many items in the dryer at once or there is a heavy imbalance in the dryer. The E3 error may also show if the dryer air vent hose is blocked or there is a problem with the thermistor. A faulty control board can also cause the E3 error code. Usually, this error code can be cleared by reconnecting loose wire connections on the main control board. The information below will show you how to troubleshoot and reset the Samsung dryer to clear the e3 error code. Samsung Dryer – E3 Error Code – How To Fix? WHAT CAN CAUSE THE E3 ERROR CODE ON A SAMSUNG DRYER? 1. Overload error – Too much clothing in dryer at one time or imbalance. 2. 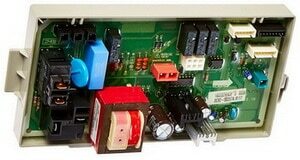 Wiring – Wires – Wire Harness on the main control board or motor are loose. 3. The air vent hose may be blocked or clogged with lint. 4. Thermistor in Dryer is faulty. 5. Main control board is faulty. The E3 fault code for Samsung Dryers indicates that the dryer senses the motor is overloaded. This indicates there may be too many articles of clothing in the dryer at one time and the dryer “sees” it as overloaded. When the dryer is “overfilled” or has an “imbalance”, the dryer will throw the E3 error code. Remove some clothing and start the drying cycle once again to see if the error code E3 has cleared. The SAMSUNG DRYER E3 ERROR CODE is usually not an actual problem with the motor. The wires or wiring harness connections on the control board and or motor can come loose. 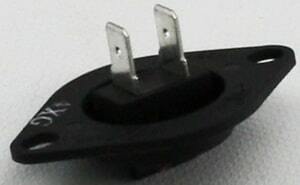 Unplug the dryer power cord from the wall. Slide the dryer forward carefully. Remove the screws on the back of the top panel. Pull back up and off on the top panel to access the control board. Check all wires going into the main control board. Check to be sure all wires are secure and attached properly. 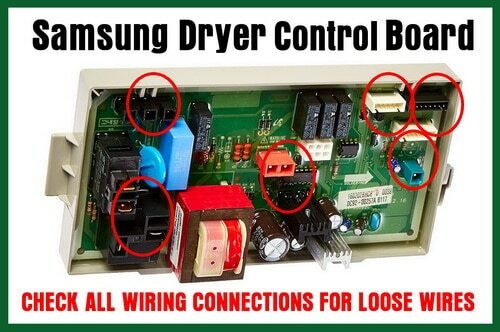 Samsung Dryer – E3 Error Code – Check Control Board Wiring. Check wires on control board for loose connections to clear E3 error code! Check the wires on the motor. If all wires are secure on the motor and the control board and you continue to get the E3 error code, check that the Thermistor is in working condition. Check the Thermistor with a meter to be sure it is working correctly. A faulty thermistor can also cause the E3 error code. If you have problems with your Samsung DV Dryer showing the E3 error code, please leave your question below and we will be happy to assist you in troubleshooting the issue. Previous post: LG Washing Machine Error Code dE – How To Clear? Next post: Front Door Paint Is Peeling – How To Paint A Metal Exterior Door?